This is number 7 from Triiifecto’s planetary range, chipotle. 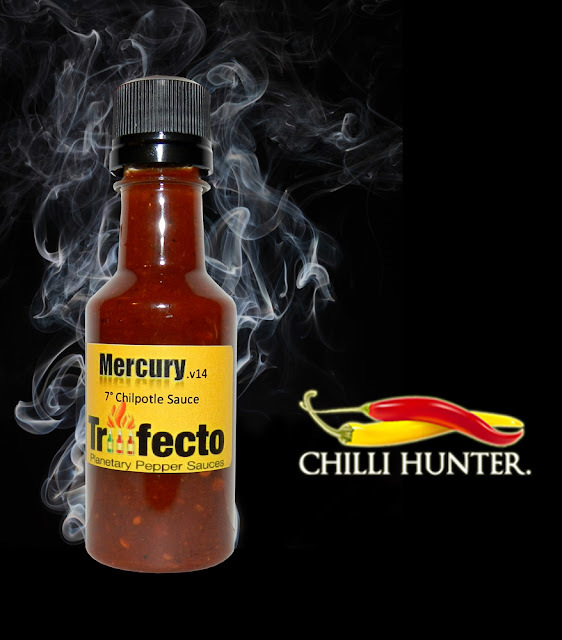 Its a smoked chilli sauce that uses the gorgeous red savina habanero for some extra heat although its still quite mild. Its a tasty tomato based sauce with a vinegar kick and a rich smokiness. I love the idea of these ‘Planetary’ sauces, a well thought out concept, shame there aren’t a few more planets!